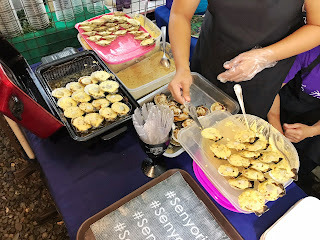 Senyorito Scallops is about selling flavored scallops. Basically, we try to incorporate scallops with different flavors, not the one where you commonly get from restaurants, where you get to taste the same flavor over and over again. We, however, specialize in scallops all the way. We have three different flavors: the Classico, which is creamy garlic, there’s the Spicy Classico, then there’s Pestofied, which is a unique flavor for the ones who enjoy Italian sauce because of its pesto sauce with basil. We don’t really have a bestseller, since our products always depends on the personal preference of our customers. Our brand started with me and two of my other friends. We’re all nurses. We came up with selling here in Sugbo Mercado because we wanted extra income. 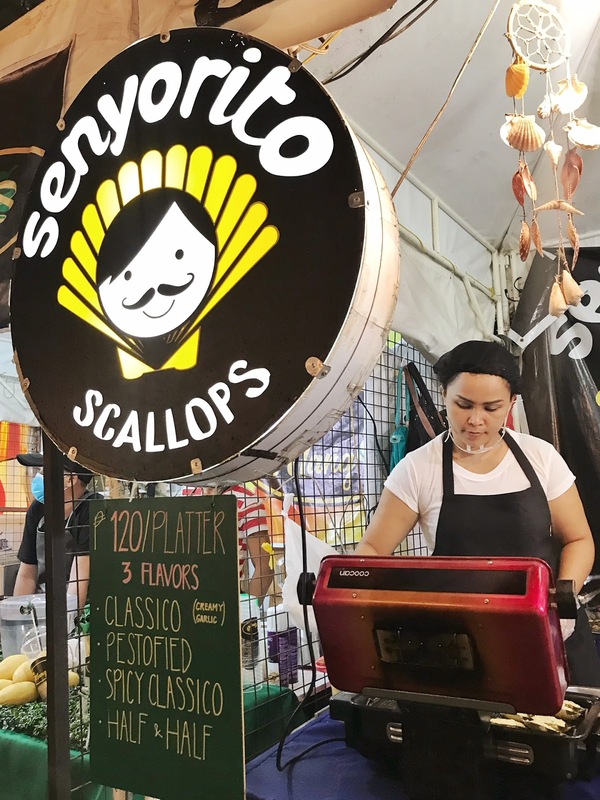 Sugbo Mercado is the perfect channel for those who are young entrepreneurs who want to venture into this kind of business. We wanted to sell something that is also our personal favorites. We settled with scallops because we all liked eating it, and also because we asked ourselves, who doesn’t like scallops? It’s also very easy to prepare. We didn’t want to sell something that we had to cook ahead, considering our demanding work time of 8-12 hours a day. Since we started the business, we were always very hands-on and we were the ones who cooked the scallops. We found it very time constraining already later on, which is why we hired a few people to take our place, but of course under close supervision as well. 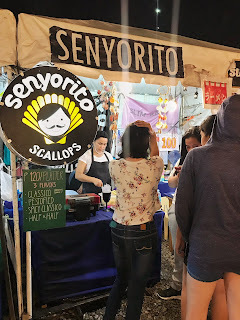 The name and brand of Senyorito is from Senyor Sto. Nino. All Cebuanos are believers of Senyor Sto. Nino, and we being fellow believers, we thought that this could be our way of giving back to Him and His people. In the way that we know, we incorporate the different flavors in a Filipino dish that we all know and love, and serve it as an offering to Him and all Cebuanos out there. 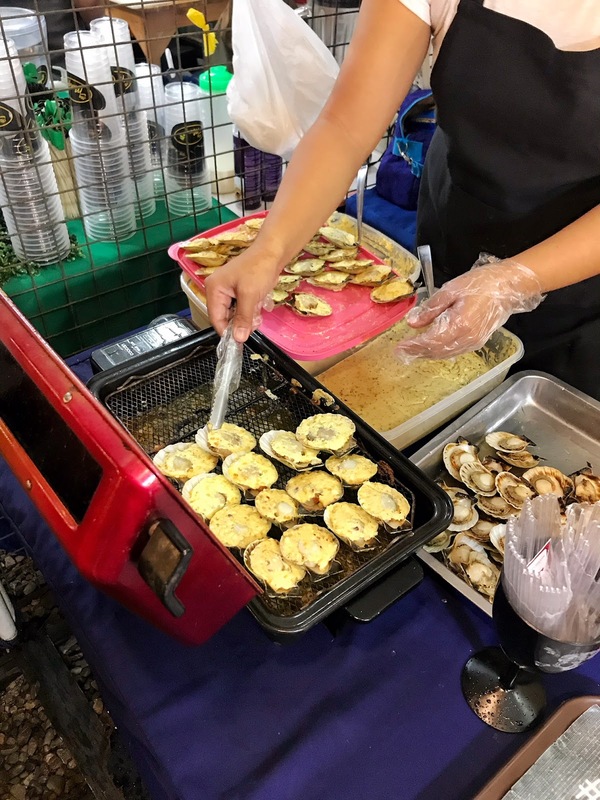 What we like about Sugbo Mercado is the diversity. 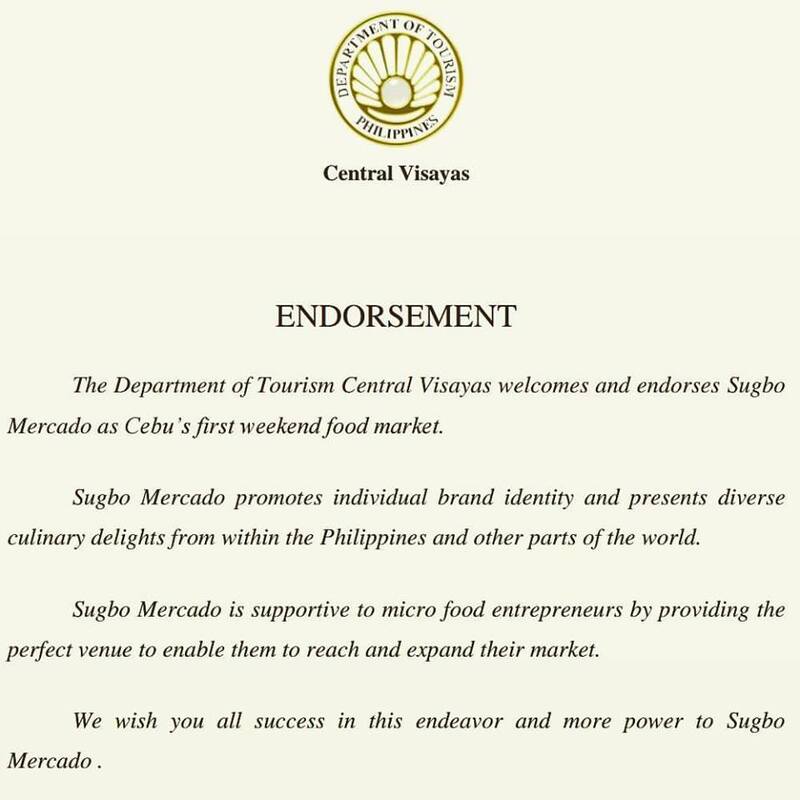 We think that’s why Sugbo Mercado succeeded so much – because of its diversity. They don’t only offer the usual food we find in malls and other restaurants, but they also offer different kinds of cuisine. They’re not predictable. You can see it from the variation of desserts, drinks, and meals. It’s the perfect place, really. We started last May 2016. Sugbo Mercado was year old then, so we can still remember few of the old tenants that started with us. 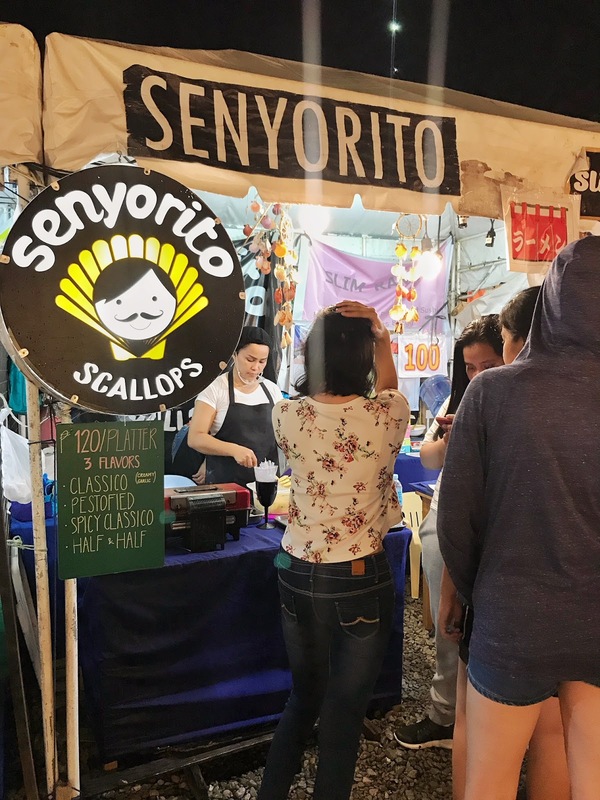 It’s also very heartwarming and overwhelming to see how people accepted Senyorito Scallops. During our early days, people would really line up for their own order of scallops and we were just really amused with that. Even until now, we’re very happy and glad with the sales. We have sold out nights, which we’re very surprised with but very grateful for because of the support of the people. We even have sukis from way back that we still see every now and then. It’s good to know that we’ve made an impact to the people through the food that we serve them. As of now, our only future plan is considering having other flavors and maybe other scallop-related dishes. An expansion is possible, but we’ll cross the bridge when we get there. - Lanie Mae Beronilla of Senyorito Scallops; Our Foodtrepreneur of the Week. Visit Senyorito Scallops at Sugbo Mercado of Garden Bloc, IT Park. We are open every Thursdays-Sundays, 5pm-1am. See you there at #YourWeekendFoodmarket! This is an amazing blog space and beautifully done. Nice post,thanks to this sharing a blog post.